The rally in question is organised by Lalu Yadav, another ex of the Chief Minister. Sharad Yadav's presence at the rally would mean that he is guilty of anti-party activities - that would mean he can be removed from his party. 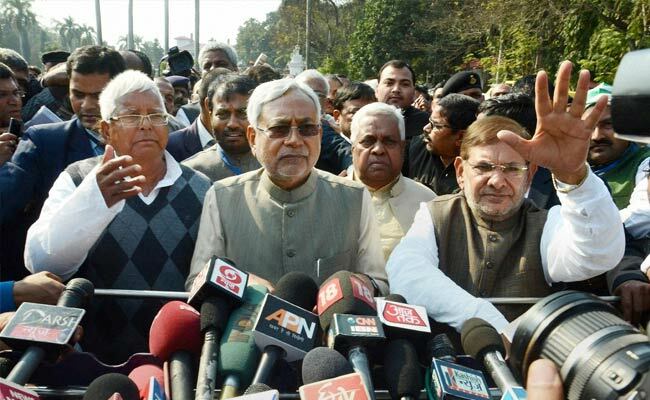 Nitish Kumar asked Sharad Yadav not to attend a rally organised by Lalu Yadav. At a large party meeting over the weekend, Bihar Chief Minister Nitish Kumar exhorted estranged partner Sharad Yadav not to attend a rally in Patna on Sunday because it would mean betraying their party and amount to indiscipline provoking penalty. But privately, say sources, the Chief Minister and his top aides are hoping he will do just that - in fact, they're counting on it. Sharad Yadav's presence at the rally would mean that he is guilty of anti-party activities - that would mean he can be removed from his party and lose his standing as a member of the Rajya Sabha. Which would infuse Nitish Kumar with a very warm, very fuzzy feeling. The rally in question is organized by Lalu Yadav, another ex of the Chief Minister. Till July 26, 2017 Nitish Kumar ran the Bihar government in a coalition with Lalu Yadav and the Congress. Sharad Yadav was the co-runner of their Janata Dal (United). Then, Nitish Kumar decided to use a corruption case against Lalu Yadav and his children as an emergency exit from their alliance and reconstruct a partnership with the BJP. Sharad Yadav protested loudly, professing that the Janata Dal (United) belongs in a grouping of about 18 anti-BJP parties formed in April partly as a result of Nitish Kumar's urging. Nitish Kumar was unmoved. Since then, Sharad Yadav has attended meetings of the opposition league and insisted that the real Janata Dal (United) is the modest faction that backs him. 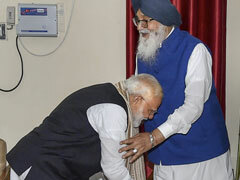 That has been easily disproved by the Chief Minister, whose show of strength on the weekend was attended by all the JD(U)'s 71 state legislators and seven MPs. While it's clear that Sharad Yadav can no longer remain a part of the JD(U), the Bihar Chief Minister is determined that he must lost his status as an MP. If the JD(U) suspends or expels him, he remains an MP, per parliament rules. But if it can be established that he worked to undermine his party, he will have to be disqualified. The rally on Sunday, called by Lalu Yadav to attack Prime Minister Narendra Modi, will offer a parade of senior opposition leaders including Mamata Banerjee, Akhilesh Yadav, and either Rahul Gandhi of the Congress. Their convergence in Patna is meant to telegraph a united opposition that will combine its different support groups to defeat the PM in 2019.